Top Food High in Probiotics Revealed! Popularized by yogurt manufacturers, probiotics seem to have become the new ‘it’ thing when it comes to weight loss and boosting your health levels. 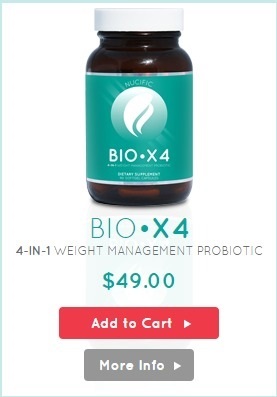 From improved bowel movement to a fortified immune system, these various ‘good’ bacteria have been proven to aid in organic and efficient weight loss, alongside an overall improvement in happiness. But what precisely are they and how do they affect our gastrointestinal system? 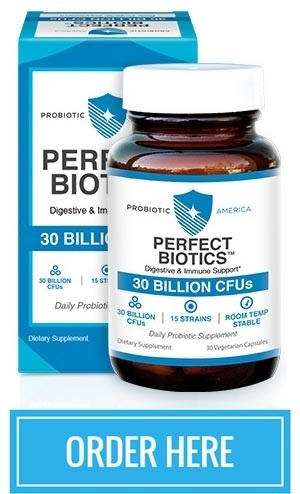 It is actually really simple – probiotics are commonly described by medical specialists as ‘friendly’ bacteria that keep the intestinal microflora at a normal balance. Thus, they greatly improve digestion by inhibiting the development of pathogens which would ultimately lead to bowel problems such as diarrhea, constipation, bloating, etc. These microorganisms work by breaking down hard to digest foods and accelerating digestion, alongside improving nutrient absorption at the level of the small intestine and colon. In this way, they become very important to our overall health and wellbeing. Did you know that over 70% of our immune system is located at the gastrointestinal level? Here, over 500 types of bacteria, both ‘good’ and ‘bad’, coexist in a delicate balance. The ideal ratio for a proper functioning gut is that of 80/20 in favor of probiotics, but this is sometimes hard to achieve when we take into account personal dietary variations, environmental influences, stress, diseases, etc. Nevertheless, when the intestinal microflora is somehow affected, our body suffers the consequences, which can range from mild stomach aches to irregular bowel movement, low protection against pathogens, and susceptibility to developing serious mental conditions (such as anxiety and depression). While most people resort to dietary supplements as a fast way of re-establishing their internal balance, there are other natural options out there – besides the traditional option of yogurt – that are equally rich in ‘friendly’ bacteria that you can easily introduce into your daily diet. Milk – though not as full of probiotics as natural yogurts, milk can also be a good source of ‘good’ bacteria. It comes packed with a variety of beneficial substances, amongst which we can include vitamins A, B12, D, and K, magnesium, calcium, etc. The most advantageous in terms of nutritional value are considered to be goat milk and sweet acidophilus milk (which is milk enriched with probiotics). Buttermilk (a type of fermented milk that also contains active microorganisms) has a history of being used in treating conditions such as constipation and stomach aches, as well as being a great immunity booster. Kefir – this product is believed to have originated from the North Caucasian shepherds, who discovered that milk could become a foamy, grainy, particularly tasting food. Made from fermented cow’s milk or goat’s milk, this drink contains an array of beneficial substances such as amino acids, minerals, and vitamins (for example, A, C, D, and E, alongside numerous types of vitamin B). With over 30 strains of probiotics in its composition, kefir surpasses yogurt in potency and presents additional yeasts that help in digestive activity and immune protection, being the optimal choice for those who suffer from lactose intolerance. What is more, the probiotic called Lactobacillus kefiri (existent only in kefir) has been shown to exhibit antibacterial properties, thus screening the human organism against dangerous diseases like salmonella and E coli. Soft cheeses – cheeses that have been aged and not treated with any type of heat will most definitely contain strands of probiotics. Any cheese is basically formed from solidified curds of milk – under the effects of lactic acid, milk ferments and additionally creates probiotics such as Lactobacillus acidophilus. The most reliable types are Gouda, Cheddar, Mozzarella, Swiss, and Parmesan, because their share of ‘friendly’ bacteria is strong enough to withstand the process of passing through your intestinal system. Other benefits of consuming soft cheeses are calcium boosting and improved protein intake. Sauerkraut – literally translates to ‘sour cabbage’ and it represents the fermented version of this vegetable. 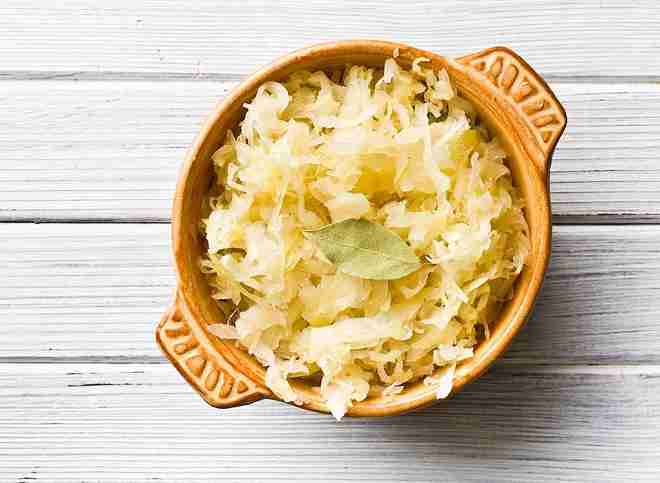 While most manufacturers can or pasteurize this product for marketing purposes, sauerkraut only maintains its high content of probiotics when consumed raw, as a side dish or when integrated into various recipes. The ‘good’ bacteria and active enzymes existent in its composition aid digestion boost immunity, as well as increasing vitamin A and vitamin C levels. Besides this, it reduces inflammations, accelerates healing within the body, aids in treating ulcers, and constitutes an important source of antioxidants (such as lutein and zeaxanthin, crucial for optimal ocular functionality). Kimchi – as a traditional Korean side dish, this food is obtained from fermented vegetables and spices, which give it a distinct flavor. Its popularity has grown recently, with many restaurants around the world introducing it into their menus, since it has been ranked amongst the top five healthiest foods in the world. Apart from being very rich in dietary fiber, kimchi also contains high amounts of vitamins (A, B1, and B2), iron, and calcium. Moreover, it includes a very special type of lactic acid, namely the Lactobacillus kimchi species, which gives it its unique flavor and positively influences digestive movement. Tempeh is a traditional Indonesian food made from soybeans. The fermentation process is closely monitored so that the beans stick together in a solid, cake-type shape. With a recorded history dating to the 12th century, this product is renowned both for its nutritional content and probiotic value. In this way, tempeh contains a high amount of fiber and protein, alongside specific probiotics that help produce vitamin B12. This particular substance is essential for preventing allergies, treating depression, and reducing the installation of inflammatory bowel disease (IBD). After the soybeans are partially cooked, the tempeh starter called Rhizopus oligosporus is added and the fermentation process is underway. This fungus breaks down the protein in the soybeans through enzymes, so that they are easier to digest by the human body. What is more, tempeh is also made with the hep lactic acid probiotics such as Lactobacillus casei and those pertaining to the Lactococcus genus, thus facilitating nutrient absorption and bowel movement. Unlike tofu (which is made from soy milk), tempeh is more healthy because it goes through less processing. In addition, the tempeh’s fermentation process leads to the formation of organic antibiotics, proteins, and amino acids, making this product an ultimately ‘complete’ food. This food is made primarily from miso paste, which is a traditional seasoning pertaining to the Japanese culture. It contains fermented soybeans and, depending on the duration of said process, it can have a milder or stronger taste (from salty to savory). These soybeans can be mixed with brown rice, barley or other grains, onto which the fungus starter Aspergillus oryzae is then added. As a probiotic-type of microorganism, it produces a high amount of enzymes, which then break down the protein in the soybeans, facilitating their digestion and absorption by the body. Miso soup usually starts with the paste that is then combined with dashi (a rich fish stock), with other variations depending on the region it is served in and personal preference. The nutritional value of the miso paste is what gives the soup its potency, with a great share of proteins, B-complex vitamins (like vitamin B12), and minerals existing in its composition. Studies have shown that not only does miso soup regulate intestinal microflora and raise immune system levels, but it can also have positive effects in preventing breast cancer in women. Moreover, the probiotics found in this food actively protect you against gastrointestinal issues such as diarrhea and irritable bowel disorder (IBD). This assortment of bread is made using yeast and lactobacilli that give the dough a sour tinge, as opposed to the baker’s yeast normally used. This is due to the fact that the microorganisms that contribute to the fermentation process release a great quantity of lactic acid, which results in the particular flavor of the bread. Besides adding a particular trade to this food, lactic acid is also responsible for increased nutrition absorption, reduced stomach problems, and infections, alongside cholesterol levels management. Sourdough bread contains numerous types of probiotics, which makes it extremely beneficial for stomach health. For example, Lactobacillus casei is highly resistant to pH variations and temperature shifts, which means it can live for longer amounts of time in your gut and aid digestion by producing the enzyme named amylase (essential for carbohydrate decomposition). Lactobacillus Fermentum is antimicrobial and antioxidative probiotic also present in sourdough bread which protects the human organism against urinary infections and E coli (a major cause of food poisoning). Moreover, Lactobacillus Reuteri is one of the ‘friendly’ bacteria that maintain both oral and intestinal health, as well as protect the intestinal system against pathogens. Regardless, they all help the body recover its microflora balance (particularly after having used antibiotics), reduce the occurrence of diarrhea, and generally boost immunity. Thus, with a low glycemic index and high nutrient composition, sourdough bread is a great choice when you want to increase your probiotic intake in an easy and affordable manner. As we have seen, probiotics play a large and important part in the way our bodies work because they are the ‘front line’ in regulating gastrointestinal activity and immune protection. In their turn, these affect our happiness levels and regulate mood swings, so it is crucial that we carefully consider how we are (or, the case be it, we are not) helping ourselves be better through the products we choose to consume. Moreover, since probiotics come in numerous forms, from fresh produce to variously fermented items and even organic dietary supplements, you can choose what the best option for you and your lifestyle is. People have different preferences, so it is best you design your own form of a healthy diet, depending on what you can ‘stomach’ or not. What is more, if you feel like the foods presented above are not of your liking or within your reach, there are other options of products that include probiotics (even if not in such a substantial amount). For example, studies have demonstrated that foods such as microalgae, dark chocolate, red wine, Kombucha tea (a form of fermented tea), etc. can also contribute with ‘friendly’ bacteria to you digestive system health. This means that not only do you have a larger spectrum of natural and organic products from which to choose, but you can also combine them to best suit your needs and tastes. In the end, it does not matter if you want to lose weight, improve your general health in an organic fashion or just see what the ‘hype’ is about – by introducing foods that contain high amounts of probiotics into your diet, you are absolutely doing the right thing. If you still aren’t sure about what sorts of food you should get, then you should take a look at these probiotic rich foods here. Not only will you drastically change the way your gastrointestinal system works (for the better), but you will also start to notice an increase in your resistance against diseases and allergies, alongside happier moods and a better outlook on life. Mens sana in corpore sano goes the saying – but, taking into consideration modern technological advances both in the medical field and in life as a whole, this wise observation becomes even more significant nowadays. Consequently, a correct way of looking at life and at our health choices should include an equilibrated diet and regular exercise, with active probiotics holding a strategic position in this health equation. So, next time you go shopping, consider the options presented above and try including them regularly in your daily meals for longer periods of time. The wonderful results on your body’s and mind’s wellbeing will show you it is best to ‘go’ with the probiotic flow! 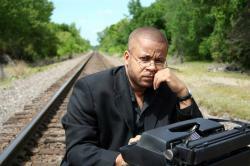 My name is Laureen Rice. I have a degree in nutrition and I love to write about probiotics. This friendly bacteria helps us in so many ways, I could share knowledge about it all day long. I'm a health food lover – I choose only fresh, seasonal, and organically grown foods. Anything high in probiotics is what I love to eat. You may be surprised at what kinds of foods are loaded with probiotics. Instead of just resorting to a probiotics supplement, let me show you how you can introduce probiotic foods into your daily diet. Because I'm a specialist in nutrition, I understand how important bacteria is to our digestive systems. With the wrong bacteria, or a bacterial imbalance, our bodies can prevent us from living at peak performance. That's where probiotics comes in. It's found in a lot more places than merely yogurt. Probiotics comes in numerous forms, from farm-fresh produce to fermented items and organic dietary supplements. They play a huge role in our bodies fight against gastrointestinal activity and gives us a boost in immune protection. Let me show you how you can get the most by introducing probiotics into your lifestyle. 1 Comment on "5 Foods High in Probiotics That Aren’t Yogurt"
Since a few weeks I have been elaborating a plain natural yogurt using whole milk, whole milk powder and a capsule of Probiotic 10. The product is creamy, tar in flavor a d it has given wonderful results. One of my sons,30, was diagnosed a year ago with Ulcerative Colitis , losing weight an d over sleeping with fatigue. I started giving him to have a daily cup of comercial natural, sugarless yogurt. My wife , who was lactose intolerant, is having a cup daily and with better digestive results..